Missoula, MT. Today, Montana Conservation Voters (MCV) announced its endorsement of Josh Slotnick for the Missoula Board of County Commissioners. Slotnick faces incumbent Jean Curtiss in the Democratic primary election in June. MCV’s endorsement of Slotnick over Curtiss is partly a response to her 2016 vote against protections for agricultural lands during subdivision review. Curtiss’ vote dismissed a decade-long process without recognizing the urgent need to find a compromise or alternative solution. Since then, Curtiss has voted to approve more subdivisions on prime agricultural land without mitigation. 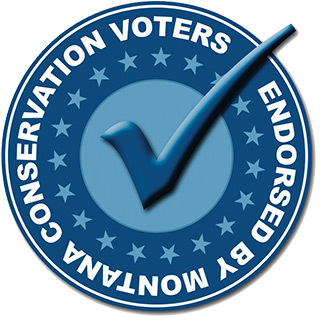 A statewide membership organization, MCV is the political arm of the conservation and environmental community. Missoula’s Chapter makes endorsement recommendations, mobilizes voters, and helps hold elected officials accountable. The Chapter sent extensive questionnaires and interviewed both candidates. Ballots will be mailed Friday, May 11, and the primary election is June 5, 2018. For more information on the election or to check your voter registration status, contact the Missoula County elections department at 406.258.4751.